The PADI Open Water Diver is the first step and is the typical introductory course. It opens the door to the underwater world. 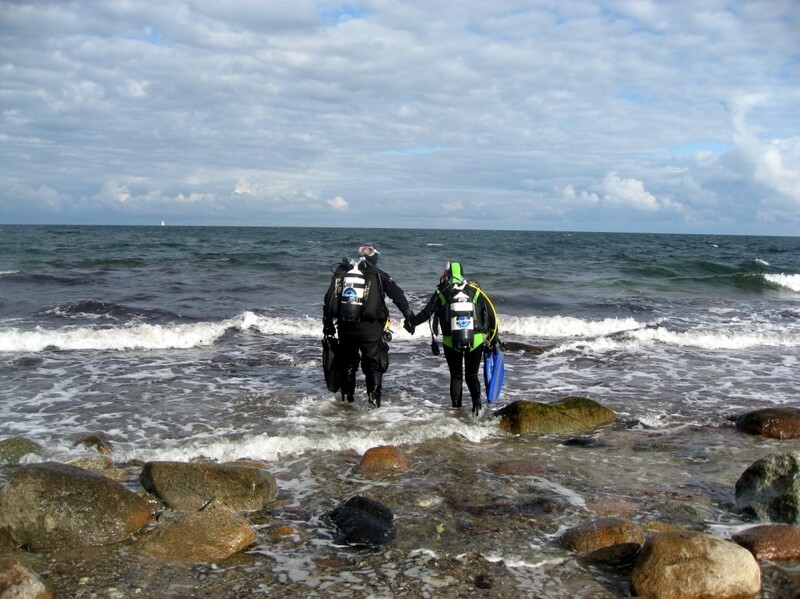 Once successfully completed and certified as a diver, you are able to rent equipment and dive with a buddy up to 18m deep all over the world. The minimum age is 10 years (Junior Open Water Diver, with a maximum depth of 12m) or 15 years (Open Water Diver). The course costs only 399 € and includes rental equipment, a PADI certification fee and tank fills. The educational materials are an extra, 60 € for the Crew Pak which includes a Manual, DVD, Logbook and slates. To ensure personalized service, we guarantee small groups of max. 4 students per dive instructor, usually even 2 students per dive instructor!! The Open Water Diver Course ( OWD ) takes approx. 3-4 days. The students work through the theoretical modules from home and we go through the key points during the theory sessions in the classroom. The confined water sessions are conducted in one of our protected bays located close-by. The Open Water training (4 open water) dives are conducted from our dive boat “Barracuda”. We also offer individual coaching – just ask us about VIP courses! We will supply you with all the equipment that you need. For the training sessions bring along your bathing suit and a towel.